News in Youth Services: "Oh the Places WE go!" Storytime begins again the week of September 9th. Children ranging from 6 months to 5 years may participate. Registration for these programs begin on Monday, August 26th. 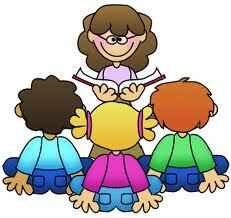 Families may also join us for storytime on Thursday mornings from 10:30-11:00 AM or Tuesday evenings from 6:30-7:00 PM. No registration is required. Spend some quality time with your family at the library hearing wonderful children's stories.